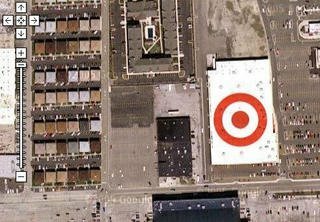 Oh Christ Almighty: Target and others are placing ads on rooftops to woo the eyeballs of Google Maps viewers. Yup. MIT's Advertising Lab has more.